Home / Health Articles / Longevity / What’s Age Got to Do With It? People who are 100 years old are jumping out of airplanes, running races and traveling the world while other people in their 70s, 80s and 90s are suffering and in assisted living centers and nursing homes. Quality of life, activity level and energy have nothing to do with age. Imagine what your life at 100 would look like based off of your current lifestyle choices. Do you get excited or scared? As centenarians, 100 year old people, are proving, how you age is largely dependent on the lifestyle choices you are making right now. Getting older doesn’t have to mean aging along the way. While many older people still languish in assisted-living facilities, hampered by poor health and decreased mental agility, centenarians across the globe are showing that it doesn’t have to be that way. Consider Verdun Hayes, who set a world record in May of this year by becoming the world’s oldest tandem skydiver at age 101. Then there’s Don Pellmann, a 101-year-old track star from Santa Clara. He began running in track events at age 70, and has since participated in 890 of them, winning most and even breaking world records. Some other great examples of high-quality 100 year living are Fauja Singh, the 106-year-old marathon runner, and Mieko Nagaoka, who is still breaking world records in swimming at 102 years old. Compare these go-getters to people you might know in their 80s or 90s who are living lives of poor health and low energy, and you’ll begin to realize that quality of life has very little to do with age. People across the globe are living longer. 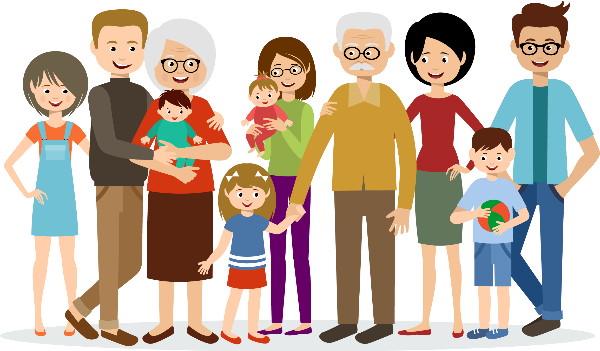 Information from a CDC study indicates that in the United States, the number of people 100 years old or older has increased greatly in the past few years, jumping by 44%! If you knew you could live to more than 100 years old, wouldn’t you want to be as healthy as possible? How can you live a healthy, fulfilled life all the way to 100 years old and beyond? The 100 Year Lifestyle promotes practices that can be easily remembered if you use an acronym related to the word fitness. Take the NESS from fitness, square the “N”, and use this acronym to enjoy your healthiest today while propelling yourself into a healthy, happy 100 years and beyond. – N is for Neurology. All of your conscious and unconscious functions are controlled by your nervous system, including your heart, muscles, digestion and circulation. Taking care of your body means paying attention to your neurology, which is an integral part of chiropractic care and promotes full body health. – N is also for Nutrition. You’ve heard it said that you are what you eat, and it’s absolutely true. A diet full of fruits, vegetables and lean proteins, low in sugar and processed carbohydrates, is essential to a strong and healthy body. – E stands for Endurance. You can build your endurance through cardiovascular activities like walking, running, swimming and bike riding, which increase your heart rate and strengthen your cardiovascular system. Start slow and steady, be consistent and you’ll be able to increase the frequency, intensity and duration of your endurance training over time. Who knows? You could be a 106-year-old marathon runner, too! – S is Strength. Don’t wait until you lose your strength to prioritize it! Instead, start strength training today, so that as you age your muscles will remain strong and healthy. – S also means Structure. Staying active and healthy means keeping your spine healthy, strong, and straight. That’s why so many world class athletes turn to chiropractic care to help them protect this important part of the body. Are you ready to get started? It’s time to live your best life for at least a century, and we can help! It’s all about making the critical transition from crisis care to lifestyle care, taking care of your body so it will be in good shape throughout your (long) life. Visit our office and give us the opportunity to make a difference for you.